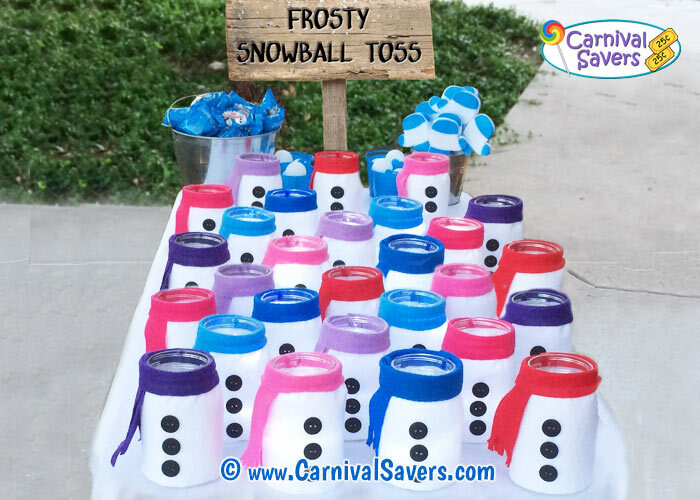 Winter Carnival Game Idea - DIY Frosty Snowball Toss! This Game Looks GREAT with Bright White Lights! DIY Frosty Snowball Game Using Mason Jars . 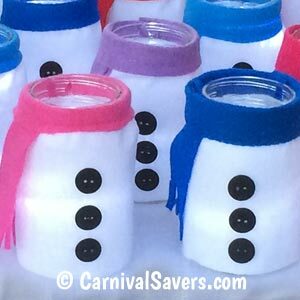 Days before your Winter Carnival, make your mason jars into snowmen using the felt pieces attaching with with hot glue to make them look like the picture. We first covered the mason jars with white felt. Then cut strips of different colors to make the scarfs around the neck of the jar. Finally, hot glue on the white felt to finish the look. Set up your table with the edge of the Snowmen placed 1 - 2 inches apart. Place the battery powered white lights in a dozen or so of the jars and turn them on. 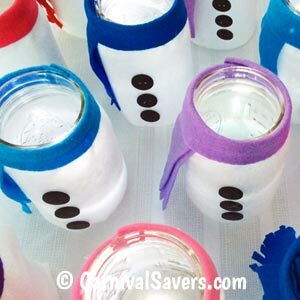 Instead of fish bowls, you are using Mason Jars, designed to look like Snowmen. And, instead of filling with water, and adding fish to the winning bowls, you can leave them empty and add bright white lights into some of the snowmen! Carnival players are given 5 ping pong type balls for a chance to land one of the balls into a lighted snowman. Note: This game looks easy - but is not so easy! Test it out before your big event. You are shooting for top winners to be about 1 in 12 players. So, if your game is too hard, give the players a few more balls to toss or move the mason jars a little closer! One more thing... like all games, you can choose to make changes to this winter game to suit your needs. For example, if your Winter Carnival is outside on a bright day, the lights may not show up very well, so you can tell the carnivall players that getting a ball into any snowman wins a top prize. Or, you can have a particular color scarf as the top winning snowmen. 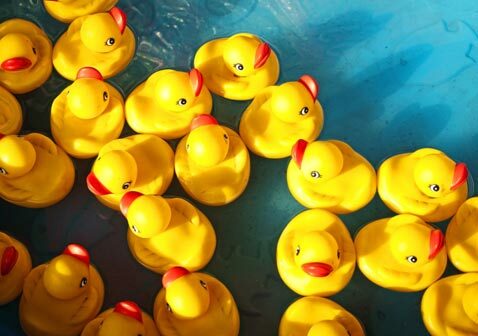 WINTER PRIZES & SUPPLIES HAVE KIDS STANDING in LINE for THIS FUN GAME!